Sushmita Sen" src="http://www.india-forums.com/bollywood/images/uploads/sushmita_sen.jpg" align="left" border="" hspace="5" vspace="5"> Mumbai, Aug 11 (IANS) Sushmita Sen is amused by stories that she and Shah Rukh Khan, who is making a special appearance in her next film 'Dulha Mil Gaya', are at war and insists that they share a warm and cordial working relationship. 'So that's what the tattlers have been talking about while I was out of the country? 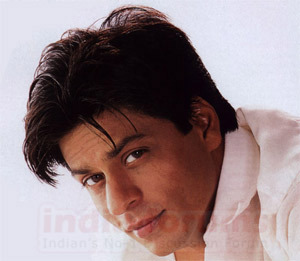 Shah Rukh and I at war! Interesting copy but totally untrue. I've never had a problem with Shah Rukh,' Sushmita told IANS. 'When we met for this film it was just like old times. Not a moment's awkwardness between us. Sorry guys, whoever is spreading the crude word about us needs to take a reality check. SRK and I are both Scorpios but we don't sting each other. We take on the world instead,' she added. They were seen together for the first time in Farah Khan's directorial venture 'Main Hoon Na'. If Sushmita had a kind of extended cameo in 'Main Hoon Na', it seems SRK is returning the compliment now with an extended guest appearance in 'Dulha Mil Gaya'. Sushmita says she loves the monsoon season. However, playing props who just dance in the rain is not her cup of tea. In fact, the actress has no regrets about the roles she has played so far. 'Every role is about creating something you believe in. I'm working very hard in both 'Sholay' and 'Dulha Mil Gaya' although 'Sholay' isn't quite my film alone.